Having trouble paying your mortgage? Your bank may allow you to renegotiate your payments. It’s been a busy year for Dan Mass, a Calgary-based broker with Canada First Mortgage. Besides his usual workload, he’s had to deal with a number of clients who have either had their homes foreclosed or have concerns that they won’t be able to pay their mortgage bills. “We’ve seen defaults rise this year for sure,” he says. While Canada isn’t facing U.S.-style delinquency rates—the percentage of homes in arrears has climbed from about 0.24% in 2007 to 0.43% last September—rising unemployment is making more Canadians sweat over their payments. Fortunately, there are some simple ways to ease the worry. The first step, says Mass, is to call the lender. He says that many people only do that as a last resort, but foreclosures cost the banks a bundle, so you may find they’re more willing than you thought to work something out. For starters, your lender may let you miss a payment. Most allow homeowners to skip one bill; some even let you go as many as three or four. 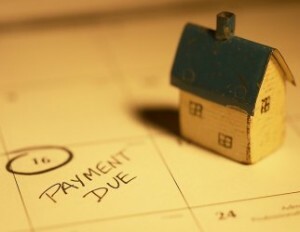 Usually, the lender will tack those payments on to the end of the mortgage. This will help to take the pressure off, but it could go on your record, making it tougher to get mortgages in the future. “You never want to miss a payment if you plan on having future mortgages,” says Robert McLister, a Vancouver-based broker who runs the Canadian Mortgage Trends blog. Still, Chris Wisniewski, group product manager for real estate secured lending at TD Canada, says this kind of relief can be useful and won’t do too much damage, as long as it’s temporary. “We might do something like this if a customer was sick for a month, or employment was reduced, but it’s a short-term situation,” she explains. Refinancing your mortgage to a longer amortization period is another option. That will allow you to pay back the money you borrowed over more years, so your monthly payments are smaller. But it has its drawbacks as well. Most mortgages can be renegotiated every five years; if you need to refinance before then you’ll pay a penalty. The amount depends on interest rates and the number of payments already made—it can be a few thousand bucks, but you may be able to talk it down. Of course, there’s one other alternative: sell. If it’s going to be impossible to pay up, and the costs of refinancing are too great, you’ll probably want to put your house up for sale—before the bank does it for you.